Our product range includes a wide range of water purifying equipment. Our company has been widely acclaimed in the field of manufacture and supply of Water Purifying Equipment. 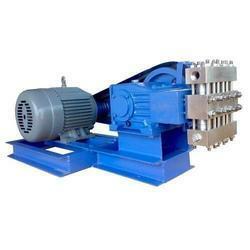 These equipment are fabricated as per the demand of valuable customers. We offer these products to our customers in many sizes, shape, and dimensions. These are heavily used in water purify applications and give the highest performance. To add on, these types of equipment have a maximum capacity of 500 to 30000 LPH and pressure of 30 to 600 Kg/cm2. Looking for Water Purifying Equipment ?